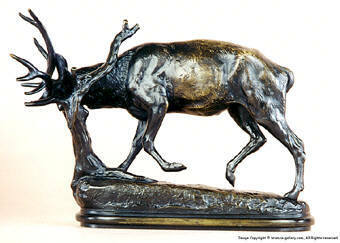 Some of Alfred Barye's earliest bronze sculptures were of wild animals. He was always modeling animals while working as an apprentice at his father's foundry. 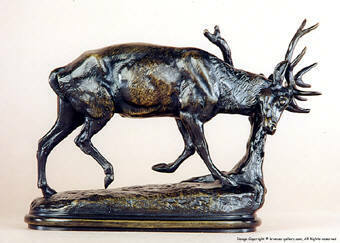 This sculpture of a Stag Rubbing Velvet from his Antlers is wonderfully modeled and highly detailed. 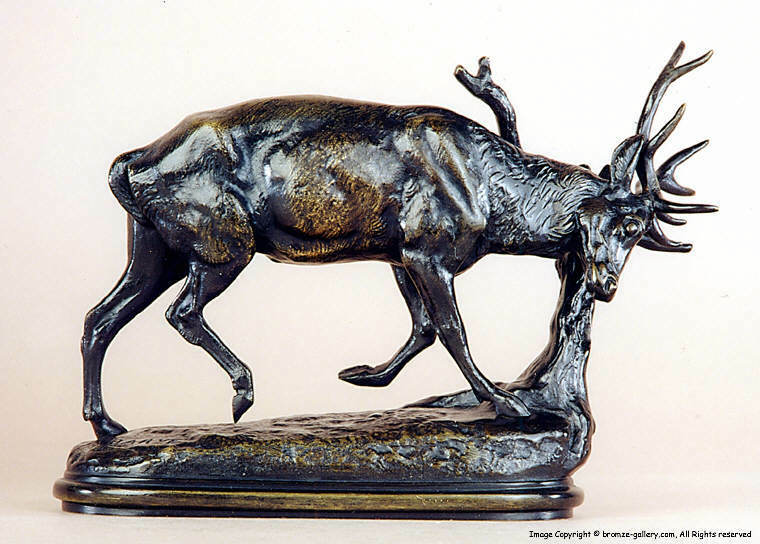 It is finished in a deep brown/black patina and was more than likely cast and finished in the workshop of Antoine Louis Barye under his father's supervision. The sculptures of Alfred Barye are very rare and as such they are sought after by collectors and museums around the world.